Are you asking about the black as seen in the last picture? 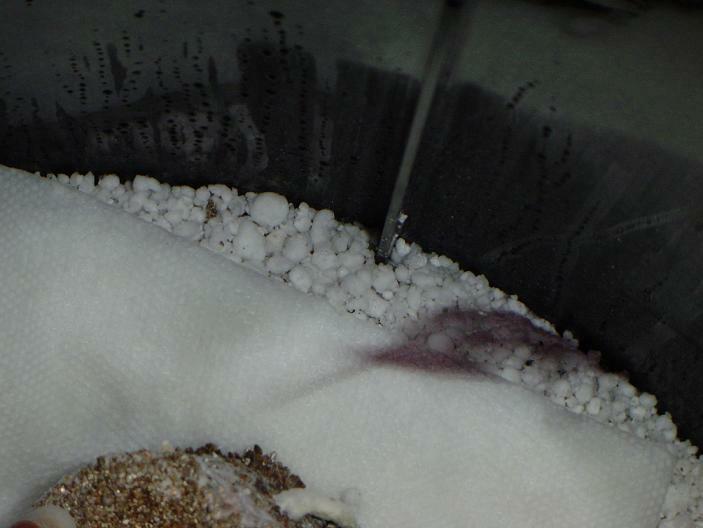 Those are spores dropping from the mature mushrooms. After the veil breaks, the cap opens up and deposits spores. 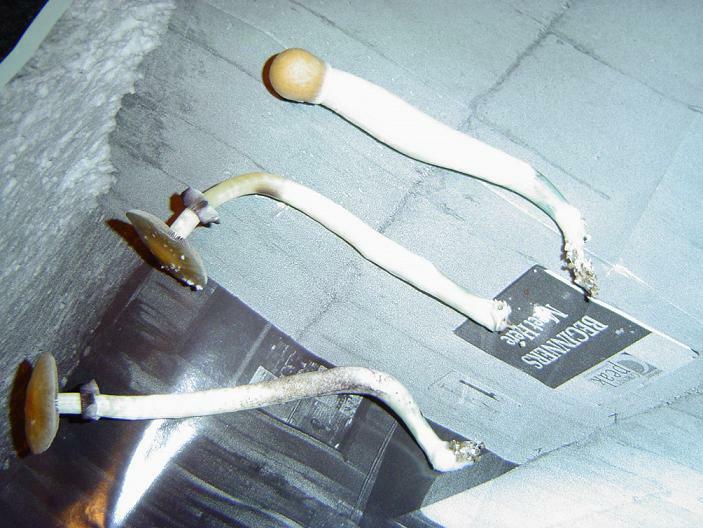 Look like healthy mushies to me, good job. Woot, the force is strong with you tonight! Can you give us any more details just for giggles? Yield, strain? Just curious, I'm bored. lol man. i bet you were just sitting here dieing for someone to give you the ok to eat those. cracks me up. 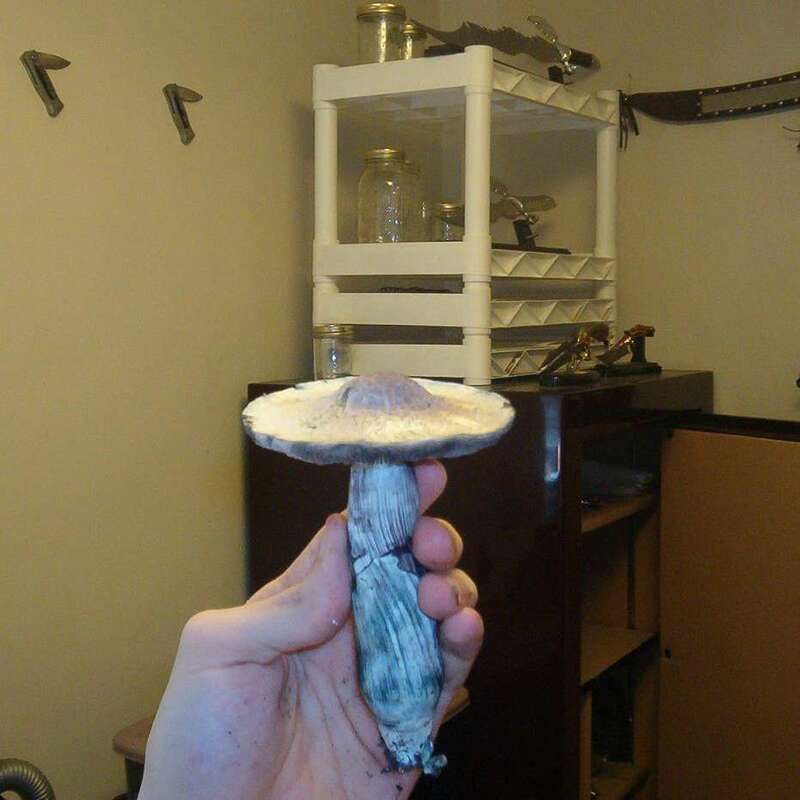 Congrats on your first flush! Pan Cyans? 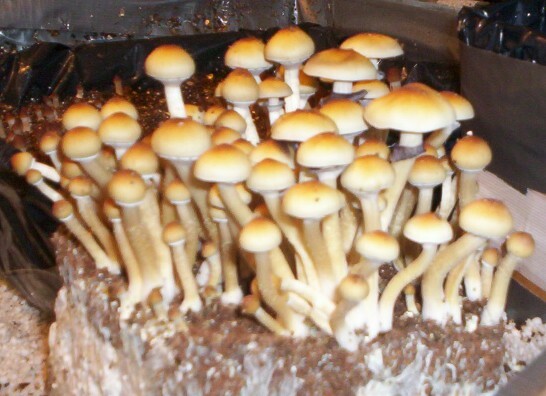 I think you mean P. Cubensis? Who sold those to you? If a shroomery sponsor, something got mixed up and you should contact them, if not, you got ripped off. 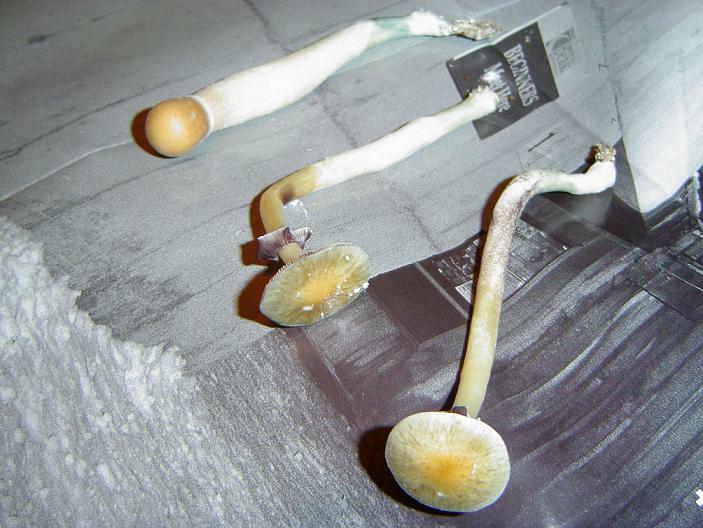 Those are without a doubt, cubensis. You were probably told they were "blue meanies" since there is a pan cyan called that. However a dickhole named the Keeper named a cubie that in order to confuse people into thinking they're getting something they're not. As said, the black is spores. Look closly though and youll see its actually PURPLE. 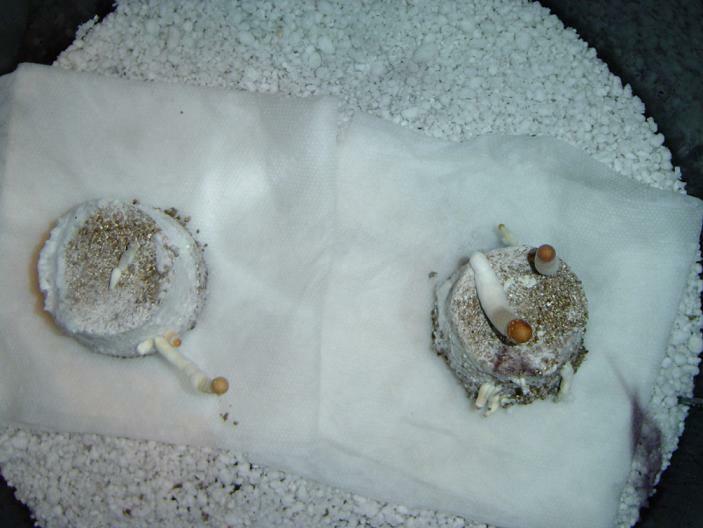 may not seem like a big difference, but it is, spores a purple (least from cubies), but BLACK is usually mold (unless its just so purple its black). Also those paper towels in there.....those should be removed...set the cakes on something metal or plastic...any sort of wood product can soak up water and be a breeding ground for contamination. You can keep an eye out but the problem is, once you SEE the mold, your whole grow is toast. 1,049 topic views. 29 members, 115 guests and 14 web crawlers are browsing this forum.